Upstate New York was beautiful, as we were just capturing the beginning of the fall colors. Other than those nasty toll roads (I mean, really – $20! ), New York was impressive. We stayed just one night, north of Niagara Falls. Staying within 15 minutes of Niagara Falls is pretty pricy for us, so we opted for a slightly longer drive of 20 minutes at the Lewiston KOA. The KOA was small, but served its purpose. The bugs are annoying and relentless and the humidity is pretty awful. We decided to drop Sparky off at Island Pet Lodge, located 15 minutes from Niagara Falls, and 24 minutes from our campsite. He enjoyed time with furry friends, and we enjoyed seeing Niagara Falls without worrying about Sparky (plus we forgot his passport). After we dropped him off, we dropped off our trailer and set our sights for Niagara Falls. Niagara Falls isn’t like anything we experienced. This “State Park” is the oldest in the country, and offers many attractions to enhance your visit. 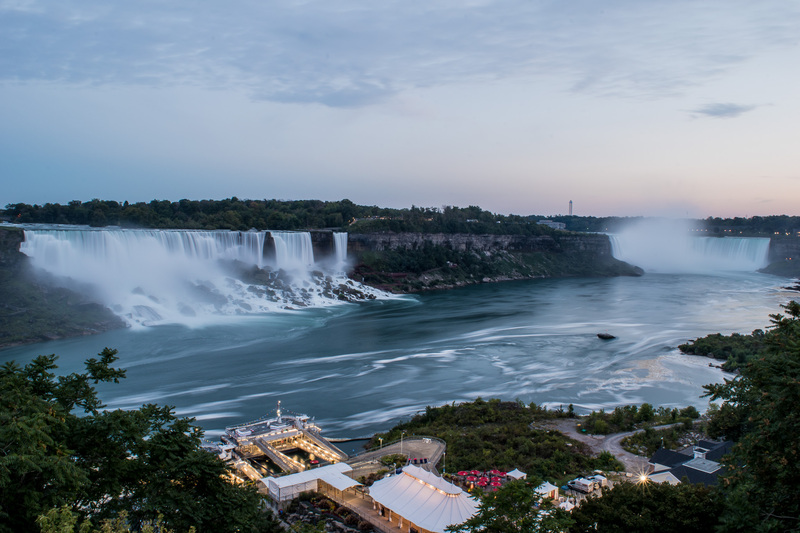 Two of the most popular attractions are the famous Maid of the Mist Boat Tour, and the Cave of the Wind tour. Steve and I opted for the latter – it involved walking (which we desperately needed after a long drive) and gets you up close and personal with the falls. For $17.25, you are given sandals, a poncho, and an unforgettable experience. I couldn’t resist getting on the “Hurricane Deck” and feeling the force of the falls first hand. I couldn’t help by giggle and feel silly – it was lovely. 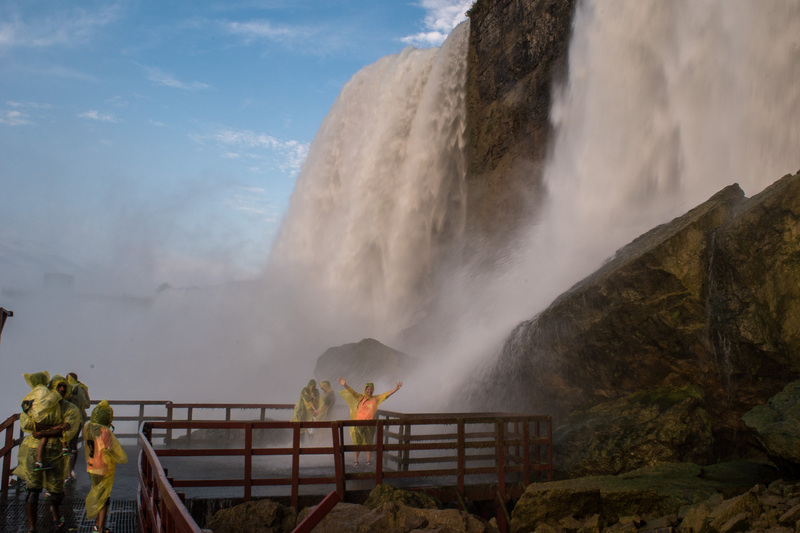 We made sure to walk all around the US side of the falls, getting as many great photos as we could, before walking across the boarder into Canada, to get some epic shots. The walk over Rainbow Bridge (yes, that is what it is called) also provided spectacular views of the falls. 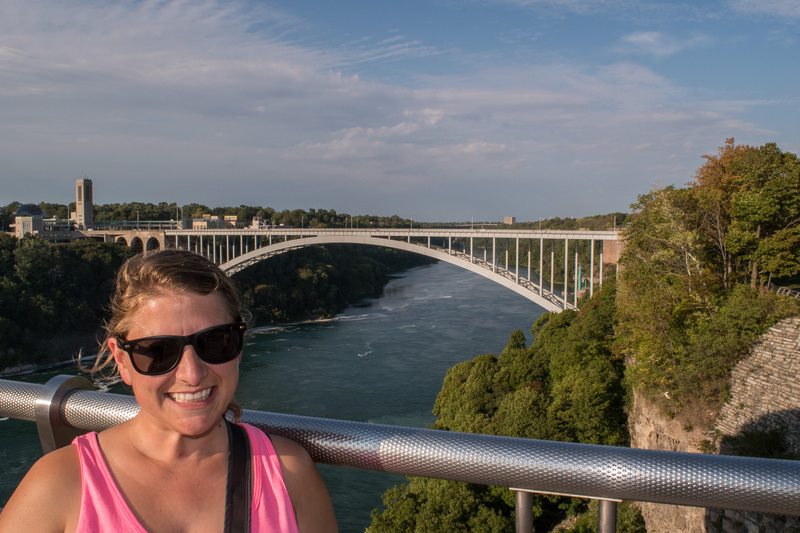 Walking from Canada back into US, you do have to pay a $0.50 toll – so keep that in mind for your visit. They do have change machines right where you have to pay and they give change in either Canadian or US currency, but if you are like us you only had $5 bill so you ended up with a lot of quarters for laundry. As must fun as we had, Niagara didn’t really feel like a State Park. It is a total tourist trap, including Canada. Street vendors, performers, bus tours, and overpriced ice cream everywhere you go. If you expect to see nature, the falls are it. Friday morning we left Niagara Falls with a full day of sightseeing planned. First stop was the Women’s Rights National Historic Park. 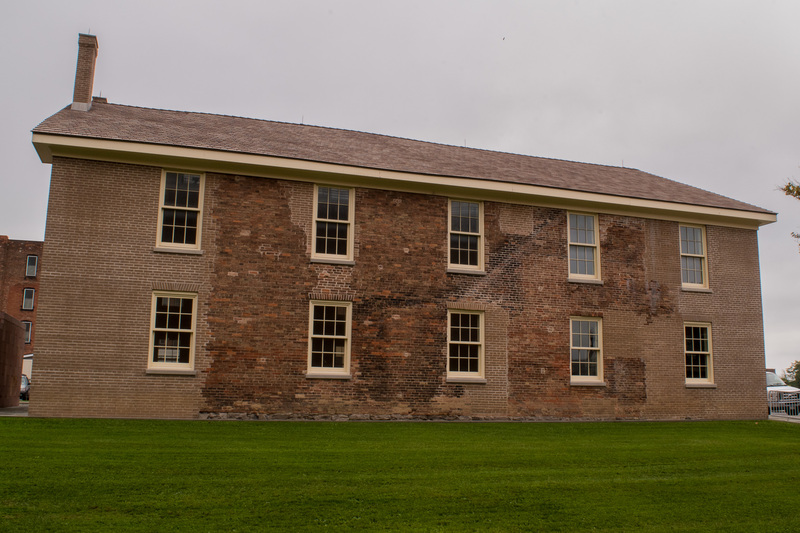 Located in Seneca Falls, NY – home of the first Women’s Rights Convention in 1848 at the Wesleyan Methodist Church. Organized by Elizabeth Cady Stanton, Lucretia Coffin Mott, Martha Coffin Wright and local Quaker women, the convention drew 300 attendees, including social reformer Frederick Douglass. The Declaration of Sentiments was a product of the convention, and it sparked controversy, conversations, and debate. Of the 300 attendees, only 100 signed it, and 32 were men. The historic site contains exhibits about the progress of women’s rights in America. 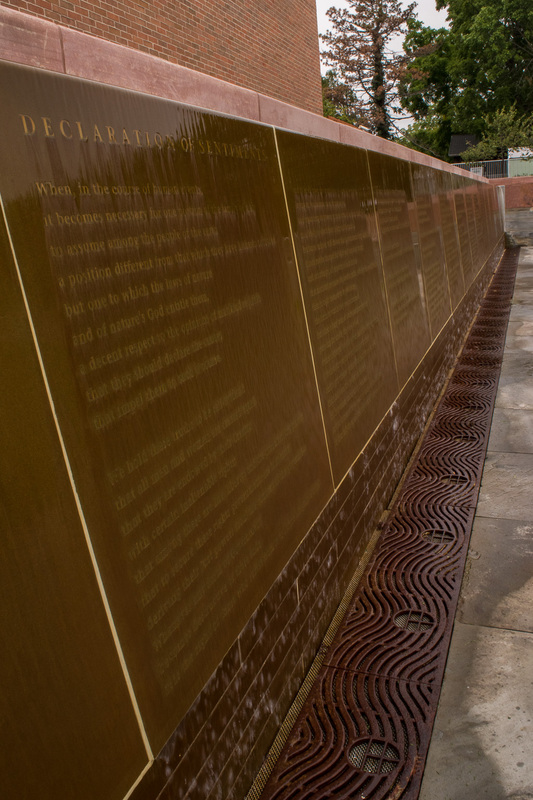 There is a water wall with the Declaration of Sentiments and the signatures of all the signees outside the visitor’s center. You can also view the church, as well as drive a short distance to the homes of notable activists: Elizabeth Cady Stanton, Mary Ann M’Clintock and Jane Hunt. We enjoyed going through the exhibits and the church. 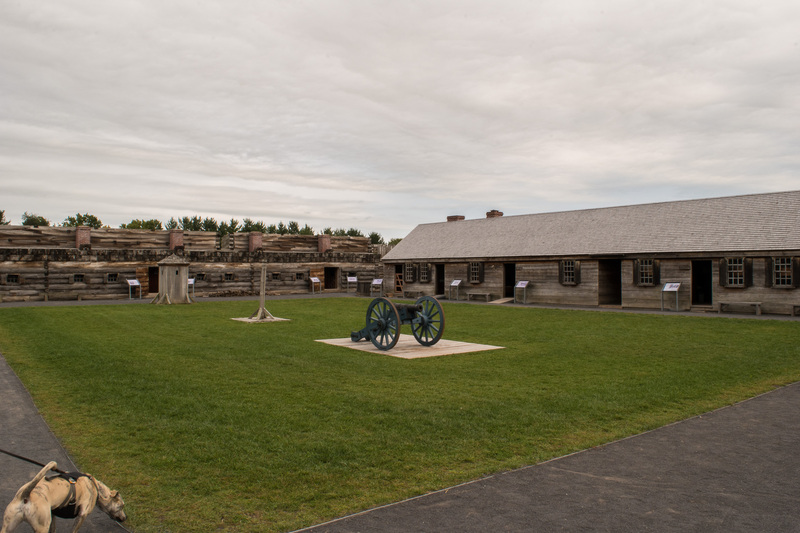 Our second stop for the day was further East and North, the Fort Stanwix National Monument. Today, in Rome, NY, the monument is a reconstruction of the original fort built in 1762. The unique star shaped fort was used during the French and Indian War. The fort was not used by 1768 and was left for ruin. 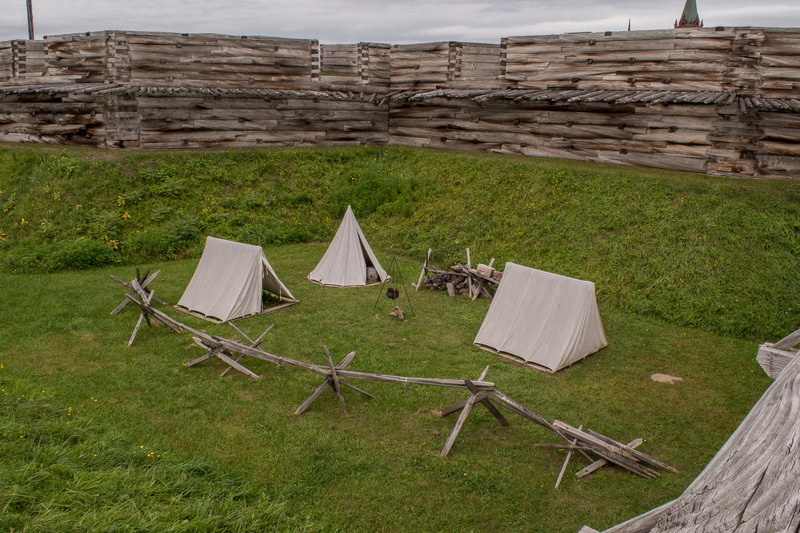 The National Park Service designated it a monument in 1935, and recreated the fort by 1978. Today, you can take a self-guided tour around the fort and bring your furry friend to! Sparky enjoyed checking out American history, but was more interested in American squirrels. Steve and I thought it was cool and worth the stop. 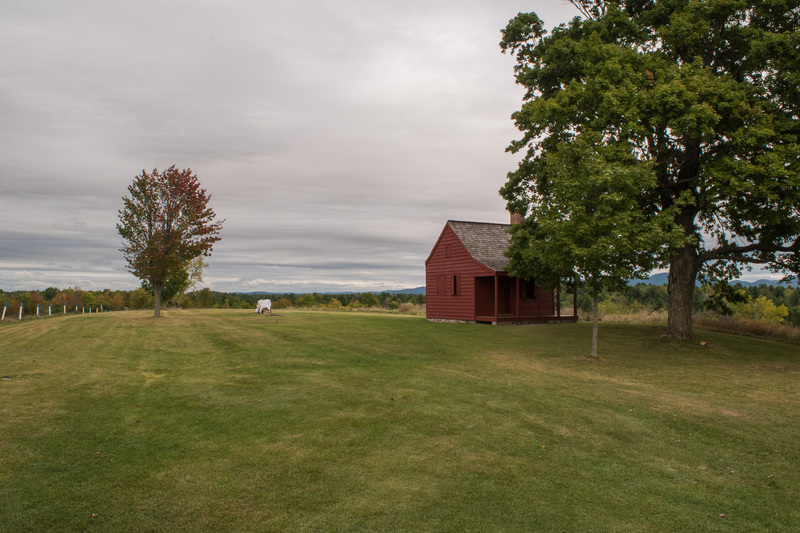 Our final sightseeing tour stop was Saratoga National Historic Park – Home of the infamous Saratoga Battles. Fought only 18 days apart, this was a huge turning point in the American Revolution. Without this victory, it is debatable whether the French would have ever aided the Americans. This park has an 11-mile loop you can drive through, with 10 stops. There is also a nature trail and a bike trail. All 10 stops have a phone number you can call that will provide information pertaining to the stop. Most stops require you to exit your car and walk a small trail to actually see everything. We enjoyed this. We pictured in our heads the British and American armies, at various points during the battle. 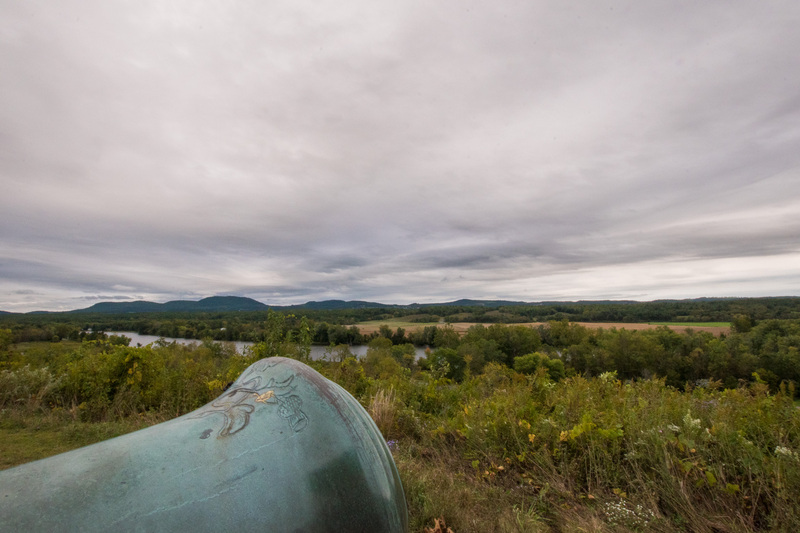 After you drive to all 10 stops, you can take the short drive of 5 miles to nearby Schuyler House (where Gen. Philip Schuyler lived) and the Saratoga Monument. 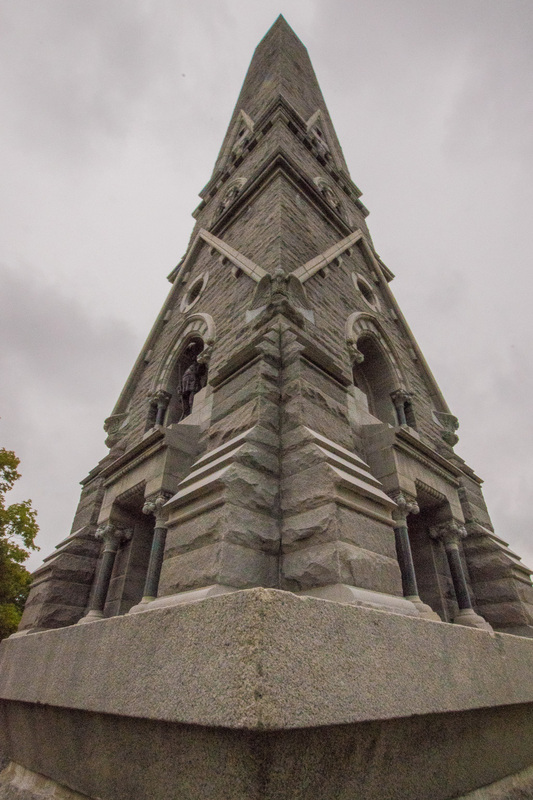 The Saratoga monument commemorates Burgoyne’s surrender to Gates on October 17, 1777. 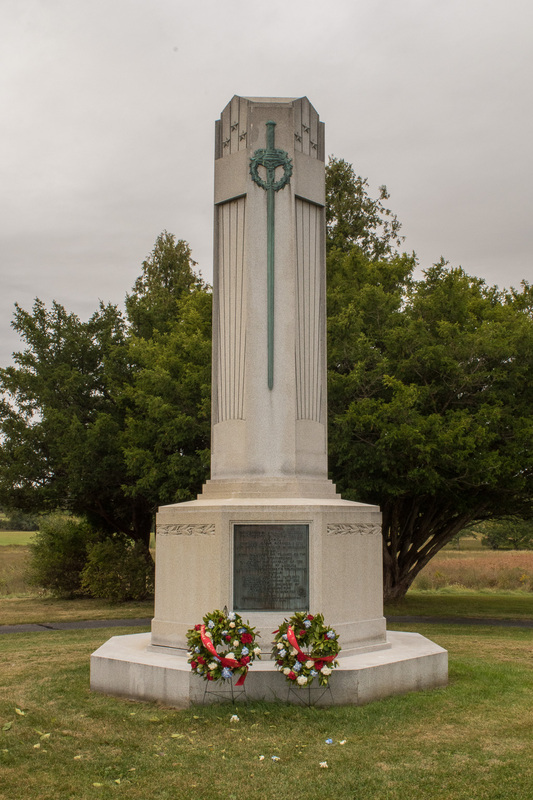 This 155 foot tall monument stands within what would’ve been Burgoyne’s entrenched camp. Steve and I didn’t go to the Schuyler house, but did see the Saratoga monument. It was similar to the Washington monument in Washington DC, but with more detail of the battle depicted on the side of the monument. We will be back to New York, probably on our way down to Virginia. I would love to see NYC, since I have never been. 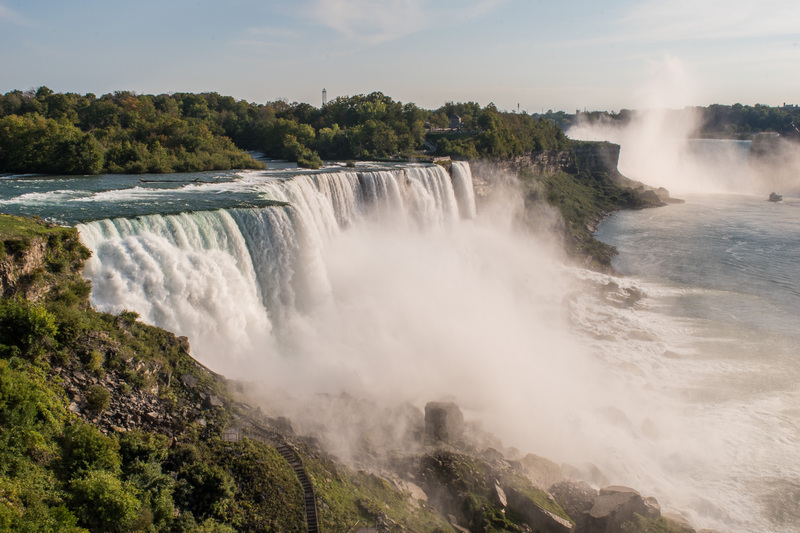 I thought we spend ample time at Niagara Falls, but exploring the near State Parks and Forests would be something on our list for next time. We are driving through Vermont, New Hampshire, on our way to Maine! Acadia National Park – here we come! We will keep you posted! 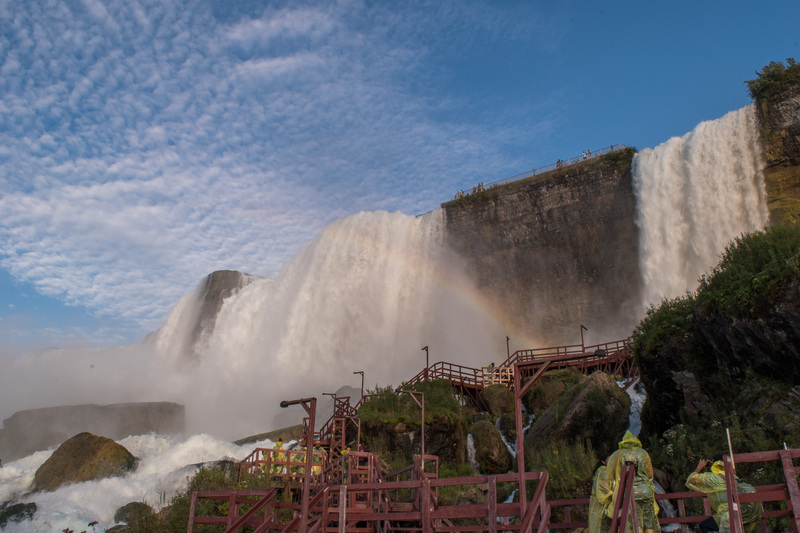 I’ve never been to the Falls, but they look beautiful, despite the tourist trap feel! Nice photos, you two! I think you would LOVE Acadia! It is amazing!!! Miss you and Ted! Hope you guys are doing well! Love Love Love following Louie!! !